TIMKEN bearing cone HM88542 bearing store HM88542 tapered roller bearing HM88542 is a bearing having the thick outer ring and a stud to which taper rollers are built into and it is a bearing having small friction coefficient and excellent rotational performance designed for outer ring revolution.With the purpose of increasing the load area effectively,the radial gap of bearing is smaller than the general taper roller bearings. Therefore, it alleviates the impact load, and a stable long life is gained. 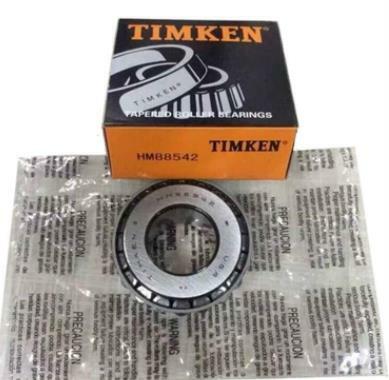 Large ready stock of all specifications TIMKEN bearings are available!The most competitive price and the best service for you!